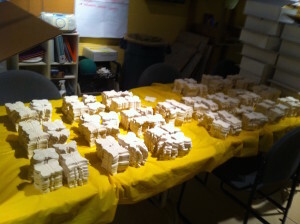 Families and communities often join together in small groups to participate in The Butterfly Project, which often snowballs into larger and more frequent events to reach a goal of hundreds or thousands of butterflies. 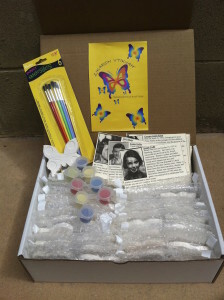 The Butterfly Project’s pre-made kits provide a powerful way to engage small and large groups in activism and learning. Our kits can help you commemorate loved ones, including Bar/Bat Mitzvah, birthday, or special occasion gifts for children who wish to become a voice for a child that was lost.